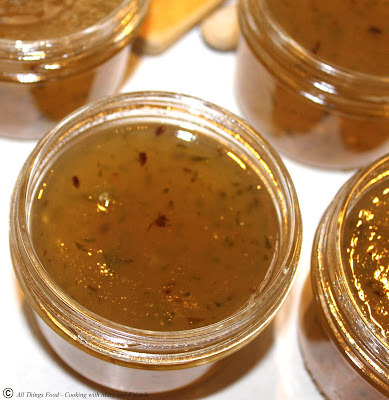 This Apple Pepper Jelly has just the right amount of sweet to heat. The apples add the sweet, the apple cider vinegar adds some tart, and the peppers add a kick. If you like pepper jelly, you will like this Apple Pepper Jelly. It's not overly hot; on a scale 1-10 with 10 being the hottest, I would rank it a 5. Serve over cream cheese on crackers, or baste on grilled chicken or pork. It also makes the perfect little package for holiday gift giving. Bring apples and water to boil in heavy large saucepan. Reduce heat, cover and simmer until apples are falling apart, stirring occasionally, about 30 minutes. 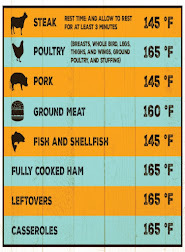 Remove from heat and cool 30 minutes. Press apple mixture through fine strainer or food mill into a heavy large saucepan (at this point you should have about 5-6 cups of applesauce). You can skip this step and simply use 6 cups fresh, homemade applesauce if preferred. 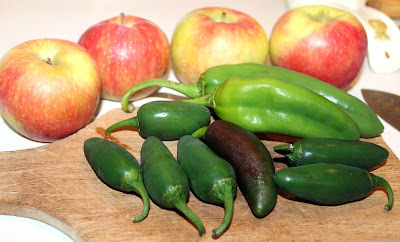 Puree green peppers and jalapenos with 2 cups sugar in a food processor; add to strained apples. Mix in vinegar and Sure-Jell. Boil over medium heat 10 minutes to blend flavors, stirring often to prevent sticking. Add remaining 3 cups sugar and dried red pepper flakes. Bring to a rolling boil and cook hard 1 minute. 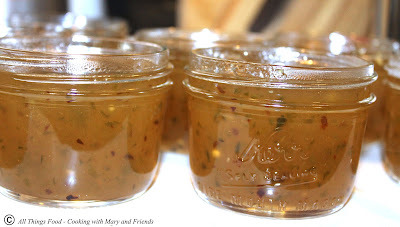 Remove from heat and fill 1/2-pint canning jars leaving 1/4-inch head-space. Wipe rims and seal with lids and bands. Process 10 minutes in boiling water bath. Remove jars from boiling water bath and let cool on a kitchen towel on your counter-top 24 hours undisturbed. Jars are sealed when button on lid is fully depressed and won't move. Store in pantry up to one year. Open jars need to be refrigerated. 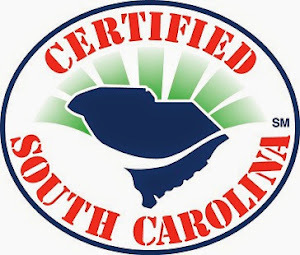 *Cooks note - Pepper jelly can take up to 24 hours or longer to jell.